The following Featured News items and images will give you the information and images that you will need to become informed about our Lake Winnebago, WI, Circle Tours, Volumes One through Seven. Mouse over the tabs to go inside and learn more. Volumes #1, #6 and #5 will be completed first in order to complete the circle tour, with supplementary Volumes 2, 3 and 4 following shortly thereafter in order to give an even more in-depth tour experience. Volume #7, Additional Activities and Plays, will offer original historical plays written by Barbara Smits (and possibly others), as well as readings that can be presented by you and your friends, or by historical groups, nursing home residents, students, or family groups, for the public or just for your own fun, satisfaction, and enjoyment. Be a character in a play and try your acting skills -- go ahead -- it can be great fun and a great way to learn! If you really feel good about how the play turns out, put on a public performance in one of the many parks or schools for all to enjoy! Additional fun activities will also be offered in this volume. 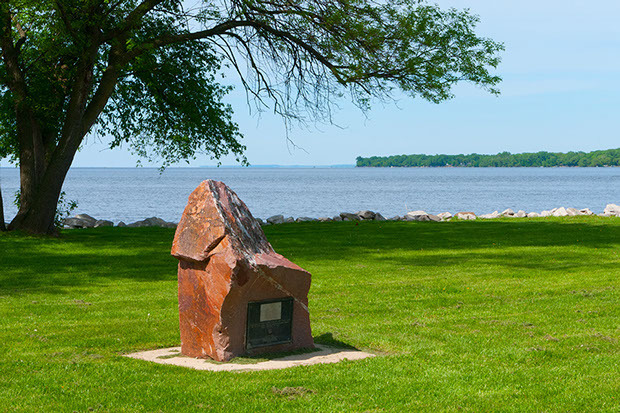 We explore the east shore of Lake Winnebago and its rich Native American history, including mounds, Menominee villages, the arrival of the Stockbridge and Brothertown Indians; woolly mammoths; iimestone quarries and brick-making along the Niagara Escarpment; voyaguers, the Military Road; water-wheel mills; maple syrup and wild rice gathering; early mail carriers and Rural Free Delivery; and many fun activities. Image Caption: Inlet to Pipe Creek, Columbia Park, Pipe, WI - site of Po-e-go-nah's Menominee Indian Village. Barbara Smits photo, copyright 2015. 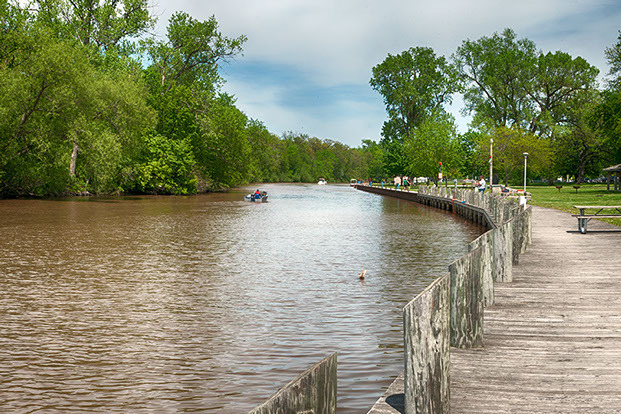 We couldn’t do the east shore of Lake Winnebago and forget about the historic west shore communities along the Fox Wisconsin waterway, so we will delve into that area and bring it to life for you. Butte des Morts, the Hill of the Dead, the Neenah Indian Agricultural Mission, rural life, Doty Island, lumbering, and so much more to include many fun things to do. 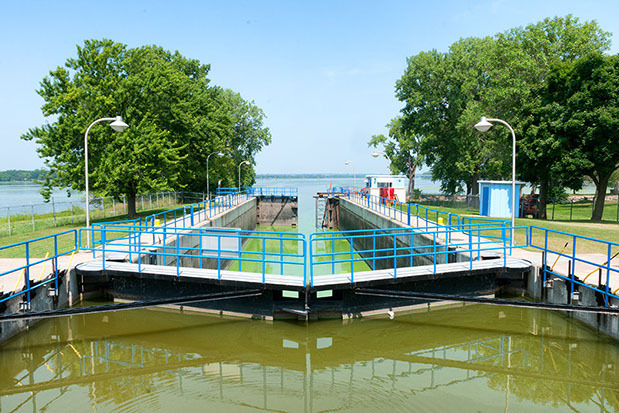 Image Caption: Menasha Lock and Dam on Fox River, Menasha, WI - Barbara Smits photo, copyright 2015. The Volume on Fond du Lac will have so much to cover that we really couldn’t squeeze it all into Volume 1. There were Native American Village sites, converging trails and roads, trading posts and voyageurs, railroads, the Military Road, Supple Marsh and Lake Winnebago, and pioneer settlers. We will include many fun things to do. 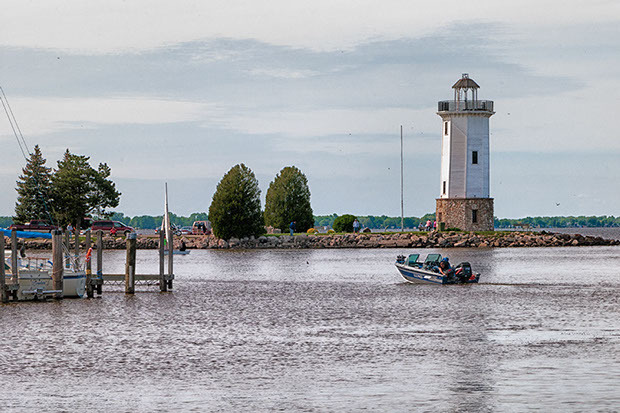 Image Caption: Lighthouse at Lakeside Park, Fond du Lac - Barbara Smits Photo, copyright 2015. 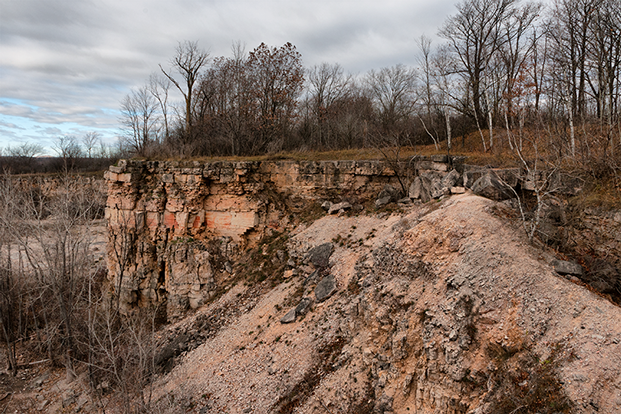 Image Caption: A grand view of the Niagara Escarpment at Ledgeview Nature Center, Chilton. Barbara Smits photo, copyright 2015. Mounds and the Native American presence around Lake Winnebago are favorite subjects for both of us, and we will explore them in-depth. Herman Bender has spent many years researching the Prehistoric and cultural landscape including the mounds in the area and is considered an authority on the subject. 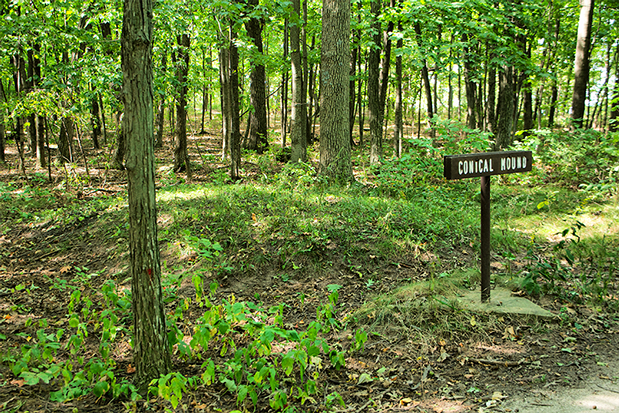 Image Caption: Conical mound at High Clif State Park - Barbara Smits photo, copyright 2015. We are well versed on the Military Road and its importance to Wisconsin. We know about Wisconsin’s three forts that were connected by the road (Fort Howard at Green Bay, Fort Winnebago at Portage, and Fort Crawford at Prairie du Chien), and the Fox Wisconsin waterway that was Wisconsin’s original water highway. Both of us worked on the Military Road Sesquicentennial Wagon Train that crossed the state in 1998, covering 250 miles from Prairie du Chien to Green Bay, so we know the route well. We will even have a play that you and your friends can act out regarding the Military Road. Image Caption: Military Road toll gate marker at Roosevelt Park, Taycheedah - Barbara Smits Photo, copyright 2015. Volume #7 - Additional activities and plays. We will offer many extra activities in this volume, including plays for you to act out, songs, poems, art, games, and whatever else we can think of to embellish the tour -- have fun! Friends traveling or just getting together, private groups, schools, nursing home residents, historical societies, theatrical groups, or anyone with a theatrical flare may all be interested in being a character in or offering these plays -- for the public, or just for fun! Bon Voyage, mes amis -- Good trip, my friends! More Tours and Videos To Come! We get new ideas every day for new adventures and how to make them come alive for you. Keep watching our site for upcoming details.